Virtual visits | In person visits | Praise! "This was by far the best author Skype that I have hosted. "Honestly I have participated in Skype visits before and this was by far the best. You really made the content come to life and were so down to earth." I'd love to meet your class! Since I live in northern Ontario, virtual visits have become one of my favourite ways to meet students. I have skyped with hundreds of classrooms around the world right from my living room. Some of them have blogged about the experience; see reviews below. I offer FREE 30-minute Skypes. This presentation includes a discussion on how I started writing for magazines, the importance of editing your writing, and I share actual edits from my manuscript. I also talk about dogsledding, share funny dog stories, use real dogsledding equipment as props, and describe how a team is formed and trained. Time for questions at the end. Your name and school name, your Skype name, grade or grades and approximate number of students, the date and time requested IN EASTERN STANDARD TIME. I do a 50-minute presentation where I talk about dogsledding and writing. It's interactive and a lot of fun. "I'm still trying to get my mind off how powerful Terry's presentation was in getting students interested in reading. She has ignited some passions, and fuelled passions that already existed. Just fantastic." 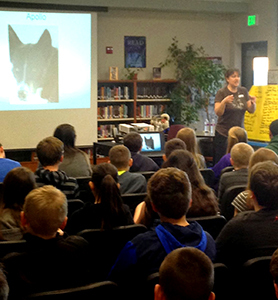 "One of the best author presentations that I have seen in the 25 years I have been teaching." "We have had many authors and illustrators visit our school and Terry was far the best we've had. She spoke to the students in a way that they could really connect to, not speaking for either too long or too little. Her real life experiences mesmerized them. I appreciated the way Terry wove reading and the process of writing into her talk on her book, Ice Dogs." 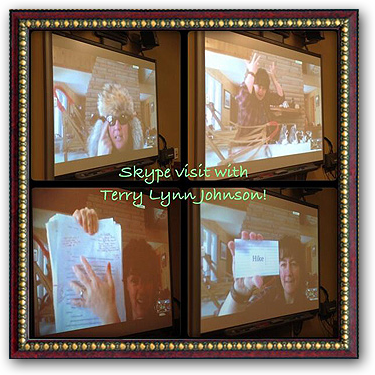 "Terry Lynn Johnson's presentation on Ice Dogs was absolutely amazing! My students had been enthralled by the book and were beyond excited to meet her—their expectations were dangerously high! Terry exceeded those mile high expectations! Her presentation was fun, informative, and perfectly paced. My students and I found her to be engaging and very down to earth. It was pure joy listening to her craft her adventures into stories and to see the powerful slide of a "draft" page! I highly recommend a visit from this talented author!" "Terry's affable nature and engaging, informative and interactive presentation was a delight." "Terry Lynn's experiences in Ontario's north have created a vivid landscape for her novel, Ice Dogs. 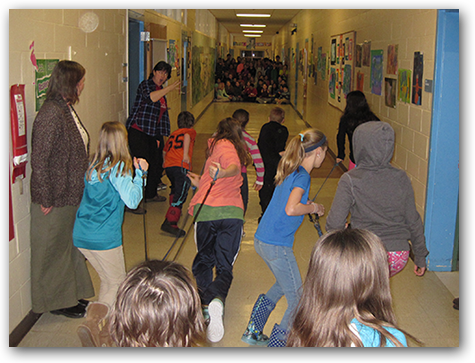 Her 60 minute presentation brings this novel to life, introducing students and teachers to the world of dog sledding, while using this idea to emphasize importance of teamwork. A great mix of storytelling, humour, and movement, I would highly recommend Terry Lynn at your school/event! "Dynamic, energetic and totally engaging"
"Terry was fantastic. 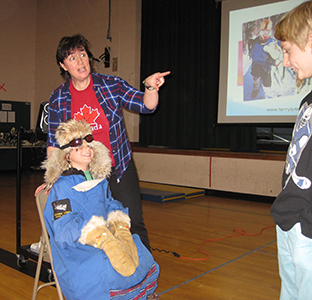 She shared invaluable experiences with the kids about being a musher and author." "The kids are still talking about it!" "What a wonderful experience for the kids! They were completely engaged as were the teachers. Terry left time for questions and it was clear from the questions that the students had learned a lot." "Mrs. Johnson hooked my class immediately. She shared funny stories, showed equipment, read from her book, and talked about writing. By far the BEST Skype lesson my class has done." 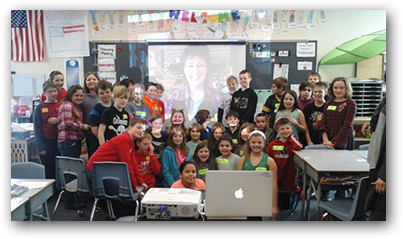 "This was one of the best author skypes that I've ever had the pleasure to be a part of."